Some residents raised their eyebrows when the board appointed Mr. Adams-Luchowski, a Richmond Hill resident, over candidates residing in either town to replace Gord Kerr, who resigned halfway through his term. 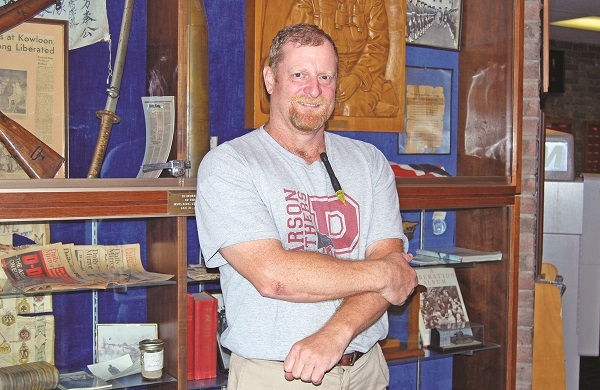 But outreach to schools, students and parents, and volunteering within the schools, including coaching football at King City Secondary School, won over many critics, and his service has been hailed by his provincial colleagues. Mr. Adams-Luchowski has been awarded the Dr. Harry Paikin Award of Merit by the Ontario Public School Boards’ Association for “outstanding service” as a public school trustee. Named after a long-serving education trustee for Hamilton, the award recognizes public school trustees who have “demonstrated outstanding service” in the field. He is the first York Regional trustee to receive the award since its inception in 1987. He admits he might not fit the traditional bill of a school trustee. A plumber and general contractor by trade specializing in kitchens and restaurants, he says he always felt he had more to contribute to the community. Eventually becoming a supply teacher, his interest in Ontario’s education system flourished and he felt the need to become more involved. He was soon elected as one of two trustees for Richmond Hill. His unique path to the school board also affords him with what might be a different perspective to students’ success from some of his colleagues around the board table. “There is a fairness and a recognition that everybody isn’t academic,” he says. “I understand it is not the end of the world if somebody doesn’t succeed this year or next year. I think everybody has an opportunity to do better and there are ways of helping the define that. Through his day job, he has often taken these students at the “crossroads” on as co-op students to help provide direction. Since then, he has had one student, for instance, go on to become a licensed plumber, and another is now working her way through Seneca and Humber College when her education just a few years ago appeared to have reached its end. After losing his Richmond Hill seat in the 2010 municipal election, he still wanted to do more and when the Aurora-King vacancy came up, it was an opportunity he pounced upon. Following his appointment, he was in a district far different from the one he previously served. Growth in the two communities is markedly different from Richmond Hill and the two towns aren’t completely comparable either Aurora, for instance, is urban and has all the challenges and characteristics that go along with that, while King is on the rural end of the spectrum. Where Aurora schools, particularly recently in French immersion programs, have experienced overcrowding, students in King often find themselves on school buses for up to 45 minutes just to get to their final destination. It was a lot to get familiar with, but he had to hit the ground running as there were significant issues to tackle – and difficult waters ahead. One of his top issues, he said, was securing the future of Dr. G.W. Williams Secondary School when the board was mulling the future of the school over building a new high school on the east side of Aurora. The board eventually decided in favour of extending the life of the Dunning Street location over starting fresh, then it was the battle over French Immersion registration in Aurora. With that out of the way, however, the next roadblock was labour disruption throughout the board as teachers’ unions battled with the Province of Ontario. While just a few weeks away from entering his final term of office, Mr. Adams-Luchowski is unlikely to seek election in Aurora-King, looking to continue his work in the Collingwood area. He encourages students and recent graduates over the age of 18 to seriously consider taking a run to fill his spot in 2014 to bring welcome young voices to the table. “Be prepared and try different things,” he says on what he would tell students spending this month getting ready for classes in September. “It’s never the end of the world. You can experiment in all kinds of things in life before you land on what you think is right for you; chances are you will change your mind three or four times anyway!